Write a Java program to check whether there is a pair with a specified sum of a given sorted and rotated array. Array has a pair of elements with sum 42. 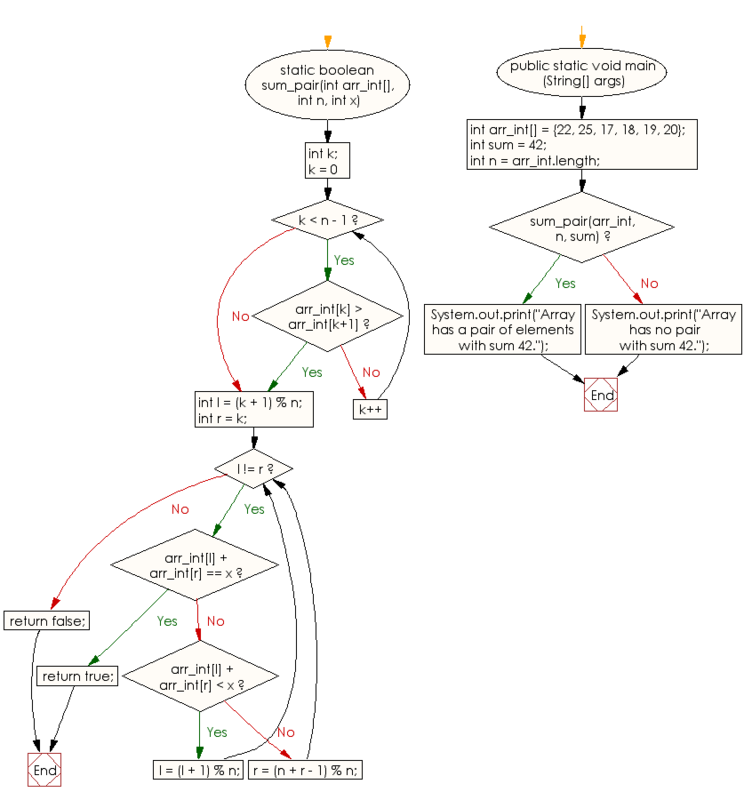 Previous: Write a Java program to cyclically rotate a given array clockwise by one. Next: Write a Java program to find the rotation count in a given rotated sorted array of integers.